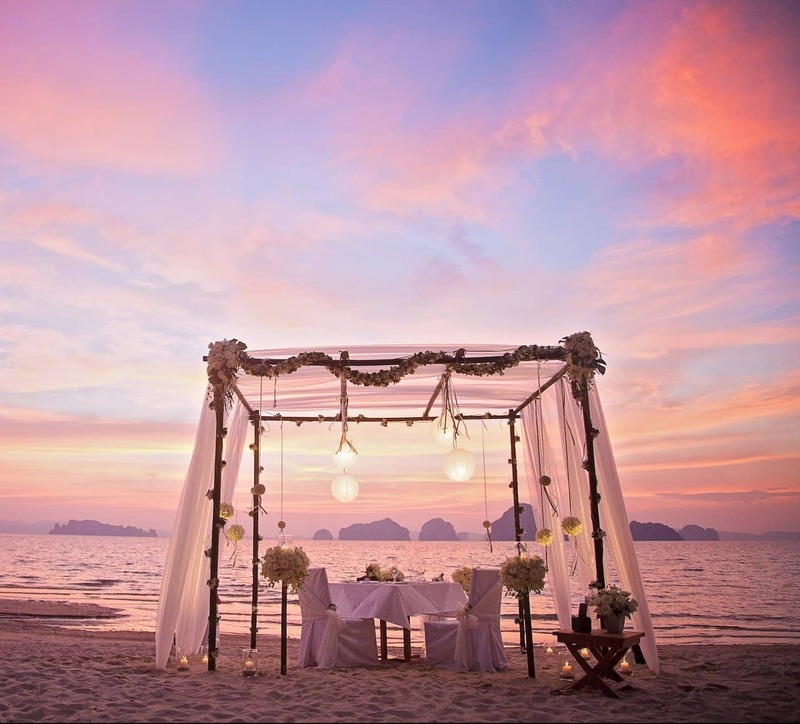 Imagine walking down the aisle on the beach towards the altar by the sea, to receive the blessing of Buddhist monks, to watch traditional thai good luck dances carried out specifically for you, to be symbolically united with flowery garlands on your heads: a wedding in Thailand combines heavenly scenarios to spiritual ceremonies with a high symbolic value, but not necessarily religious. This Asian gem is one of the most sought after wedding locations by spouses from all over the world. 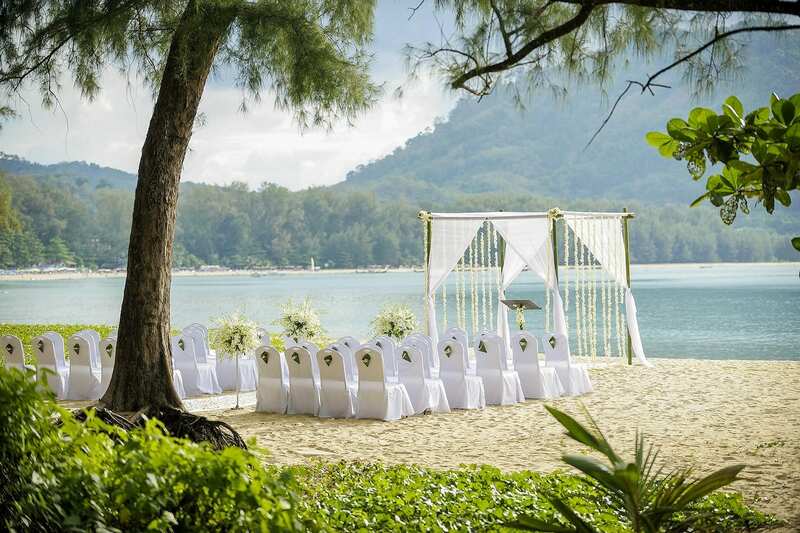 A magical land, where Eastern tradition and hospitality are perceived at every corner, and which offers many perfect venues for an open-air wedding in famous landmarks such as Phuket or Koh Samui: from the stunning beaches to panoramic terraces overlooking the sea, as well as the magnificent gardens of one of the many luxury resorts scattered across the region. You can choose to have a "Westernized" ceremony, following a typical American style, or a traditional Buddhist rite (open to everyone, regardless of your religion), or even opt to celebrate your marriage following a religious ceremony at one of the few Catholic or Protestant churches. It's up to you to decide whether you want to completely look the part and wear traditional thai garments for your special day, or if you prefer to bring your bridal dress with you. After a photo shoot surrounded by palm trees and sand or at any of the nearby temples, you can celebrate at your wedding reception with a banquet full of exotic fruits and specialties from the very flavourful, local cuisine. The best time of the year to go to Thailand is from October to April. The winter months represent high season, while summers are usually very humid and with a high risk of rain. Your wedding will be so much more than a ceremony in a stunning location: it will be a unique experience and a pre- honeymoon that you can intimately enjoy, just you two alone, or together with your closest friends and loved ones.